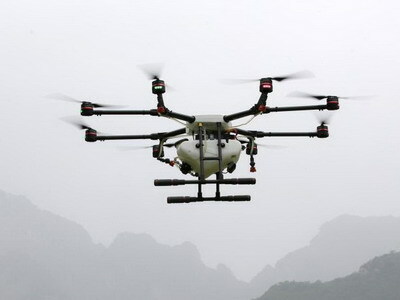 The commercial drone industry could be torpedoed if there was a serious accident involving a drone and a commercial aircraft, the chairman of the US House Transportation and Infrastructure Committee warned. Representative Peter DeFazio, a Democrat, said in Washington regulators have to take the threat seriously. “This is really serious when these things are flying around and it could kill the commercial drone industry,” DeFazio said, adding if a toy drone “takes down a plane” there would be public outcry to ground the devices. The issue of threats by drones to commercial air traffic came to the fore after London’s second busiest airport, Gatwick Airport, was severely disrupted in December when drones were sighted on three consecutive days. Last month, 43 flights into New Jersey’s Newark Liberty International Airport were required to hold after drone sightings at a nearby airport, while nine flights were diverted. In January, US Transportation Secretary Elaine Chao proposed rules to allow drones to operate over populated areas help speed commercial use. There are nearly 1.3 million registered drones in the United States and more than 116,000 registered drone operators. Officials say there are thousands of additional drones not registered. “We’re worried about the two million people who bought or got toy drones for Christmas the last couple of years and are regularly flying in violation of the law,” DeFazio said. Last week, the FBI said authorities confiscated six drones violating a temporary order not to fly the devices in the area ahead of the NFL Super Bowl. Alphabet Inc and Amazon.com Inc are among a growing number of companies hoping to make package delivery by drone a reality. The Federal Aviation Administration is working on rules to set remote identification requirements for drones for tracking purposes.